From April 16, the Emperor of Japanese Cinema exhibition by Akira Kurosawa will open in the New Schepkinsky lobby of the Maly Theater. Visitors will see rare photos, including from personal archives, footage from the filming of the film “Dersu Uzala”, drawings and paintings by the director. At the exhibition, viewers will learn many curious facts, for example, in which the only advertising in their entire life Yuri Solomin agreed to act in. 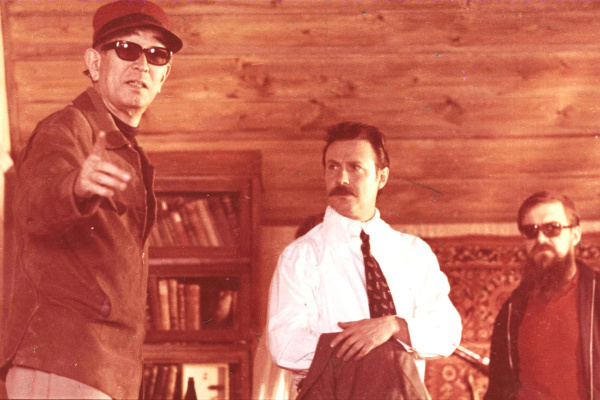 The performer of the role of Arsenyev for the first time will present to the public a picture of Akira Kurosawa "The Green Tiger", presented to him by the director. On the solemn occasion of the opening of the exhibition, the famous sculptor, winner of the FSB Prize of Russia for the best works of literature and art, Laureate of Moscow, All-Russian and international competitions and exhibitions, Alexey Chebanenko will present a series of busts dedicated to the film “Dersu Uzala”.